India have been dealt a big blow on the eve of the second Test against Australia, with star spinner Ravichandran Ashwin and batsman Rohit Sharma ruled out. Looking to take a 2-0 lead in the series, India announced on Thursday that the pair will miss the Perth clash due to abdominal and back injuries respectively. 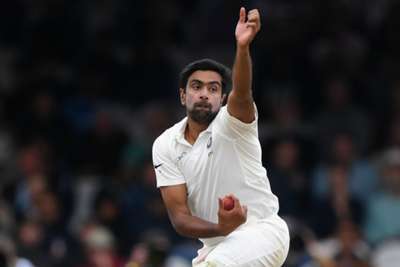 Ashwin – who finished with figures of 6-149 as India prevailed by just 31 runs in a dramatic finale in Adelaide – suffered a left-side abdominal strain. Meanwhile, big-hitting batsman Rohit jarred his back during the first Test, in which he only amassed 38 runs. All-rounder Hanuma Vihari and paceman Umesh Yadav replace Ashwin and Rohit in the squad in Perth, where play gets underway on Friday. India squad: Virat Kohli, Murali Vijay, KL Rahul, Cheteshwar Pujara, Ajinkya Rahane, Hanuma Vihari, Rishabh Pant, Ravindra Jadeja, Ishant Sharma, Mohammed Shami, Jasprit Bumrah, Bhuvneshwar Kumar, Umesh Yadav.